The homeowners of this project were not happy with their kitchen tile backsplash, so they gave 605 Companies a call to repair it. From the start, we understood their frustration because the original backsplash was poorly installed. Uneven grout lines and cracked tile were the main culprits. Together, we came up with a plan to make sure this didn’t happen again. The pressure was on us. 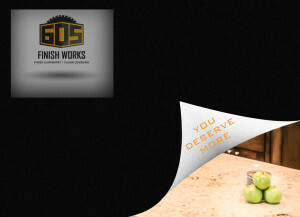 605 installers meticulously pieced the entire backsplash together, making it one of our best finished projects to date. The homeowners were great to work with because they made prompt decisions and were confident every step of the way. In the end, we delivered a kitchen backsplash that they can enjoy for years to come. If you’re unhappy with your kitchen or need a repair, whether it’s 2 months old or 20 years old, give us a call or email. We can help give you the kitchen of your dreams. We stand behind our work as Sioux Empire’s best!